Via a slack I’m on, I only just this morning became aware of the MegaProcessor, a 16-bit microprocessor with LEDs attached to all the gates and transistors, that is then blown up to the size of a room and mounted on walls so you can see it working. Oh, and it plays Tetris. Sure, there’s probably some other stuff in there, but at a very high level, I think these are the most interesting elements. The last few months I’ve spent a lot of time playing a few different games that I think basically fall into a new “branch” of the Tetris family tree. One where the main difference is that they’ve replaced the block-falling gravity with free-form block placement. Turns out, this makes for a bunch of interesting games! I guess I probably saw Hex FRVR first, back in October, when it hit my “Tetris” google alert, and then shortly thereafter as my Twitter feed exploded with it a bit. I think there were probably just as many people impressed that the mobile web app (the game is fully playable on its website) functioned as well as the mobile app as there were folks commenting on the game itself. Although plenty of folks did comment on how easy it was to get sucked into it. I got pretty hooked, and was still playing it in November when I went to Practice. 1010!, played on a square grid, does that mechanic swap I mentioned, bye-bye gravity, hello touch-and-drag, but there are some other pretty major differences too. It’s played on a ten-by-ten sized game grid, and I’m assuming that’s where the name comes from. 1010! also does away with having a single available piece, and showing you the order of the upcoming ones. Instead you have three available pieces, and see nothing further until you play the last of them. In fact, most of the strategy in the game comes from effectively using the three you are given together to clear some of the board before the next three. So to balance the game toward ending, it throws in blocks of the following (important) sizes: 1×5, and 3×3. Sure, you can lose from the other block sizes if you’re not careful, but mainly, it’s going to be one of these two that you will inevitably not be able to fit onto the gameboard, thus ending the game. I think it’s this balance (when to throw you “hard” pieces, and what percent of the time to just give you the basics) that makes both 1010! and Hex FRVR good games. They are both tuned to let you play for a bit, but then stump you not that long after. Playing for a while feels like an accomplishment, the classic “high score high”. Whether the games give you essentially random pieces, or just the illusion of random pieces, I cannot say, but just as in Tetris, you can easily talk yourself into believing the game is not random. Maybe it’s giving you this piece just when it knows it’s impossible for you to play it. 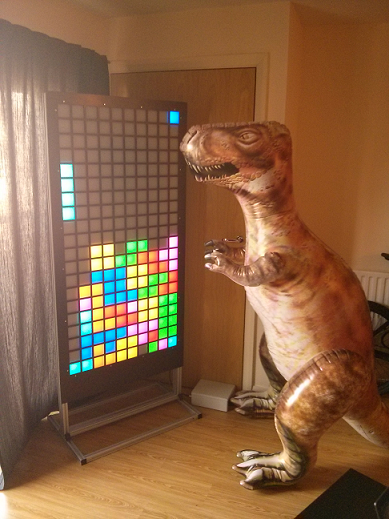 It’s no secret that a lot of my game ideas are also inspired by Tetris. The quote, “Good artists copy, great artists steal.” evidently goes back quite a bit further than T.S. Elliot. I very much subscribe to the thought that everything is a remix. Right now I’m working on a port of my first game (playable on this site) to iOS. It’ll be called Action Go, and will play like the web counterpart, but look a whole lot better. The entire inspiration for that game was, “What if I removed line-clearing, and replaced it with the capture mechanism from the board game go?” I’m not planning on removing the web version, but the new one adds a lot of stuff, so I hope it’ll find a following on iOS and Apple TV when it comes out early 2016. It’s easy to see though, that there are nearly infinite ways you could take just a simple game and swap out one mechanic, (and adding a few more where it makes sense after that) to get a whole new game. Or hell, a whole new genre of games. If anyone who works on 1010! read this, know that the app is crashing for me on my 6s+ like every 2 minutes. I don’t think it was doing this until the recent 9.2 update. Please fix it. I have an addiction to manage. My impression of actually playing it was basically that there are far more satisfying 3D tetris implementations, unfortunately. It’s just plain HARD, and can be really difficult to “line up” the pieces, especially the farther into the cube you’re looking. The L3D has a pretty serious problem with reflections off the plexiglass, and that didn’t really help with the playability either. 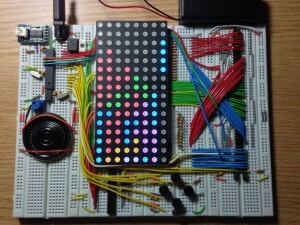 Over at the HackADay blog, they posted yesterday about user Alex’s Arduino Tetris on an LED Array. That one was pretty plain looking, (not to diminish Alex’s efforts, I’m sure he learned a lot putting the project together!) 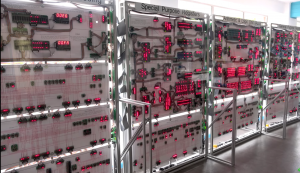 That post links to a previously posted project (shown above) called Breadboard Tetris, as well as another running on an oscilloscope. 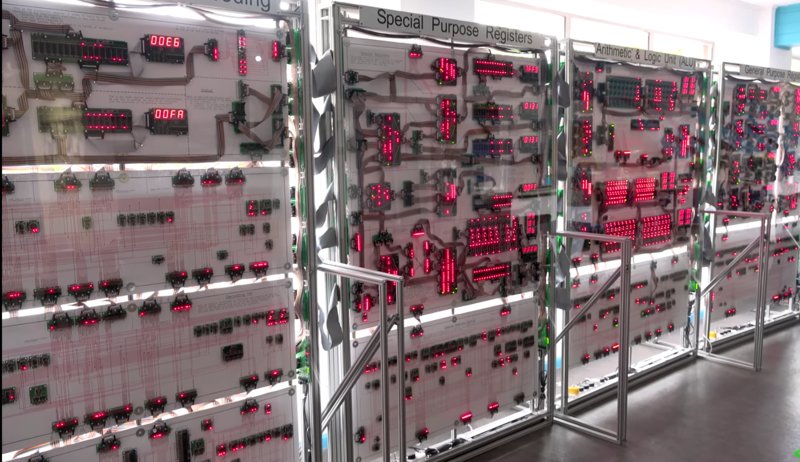 But their blog is actually a cornucopia of LED Tetris links! Many more are findable by searching their website, including Tetris wearables, like this LED tie, and a sweet looking arduino bracelet. If you want to build your own LED Tetris, there is an instructable you can follow, (although comments imply it’s incomplete, so maybe you’ll have better luck with this other one). Anyway, hardware hacking is getting easier and easier all the time. Anyway, this of course meant that I could try out Pebblis, a version of Tetris created for the Pebble by Robert Hesse. 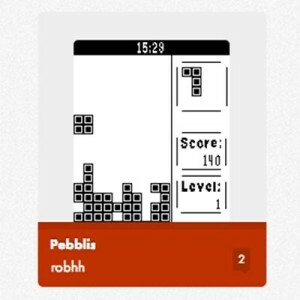 As widely reported, Pebblis is nothing more than a Tetris clone you can play on your wristwatch, but if you’re not looking for anything fancy, it’ll definitely scratch that tetromino itch. Unfortunately, now that the Glass API has been released, it doesn’t sound like AR tetris is really possible, at least with this 1st-gen device. (In fact, the AR capabilities will be quite limited, and that rather disappointing aspect of the hardware has not gotten much press, at least that I’ve seen.) I’m still excited to get my eyes on mine, and I’ll be exploring what games appear for it over at Games with Glass, a site I’ve started with my former co-worker Breon. Not much up over there yet, but then again, there’s really not much yet to report on either. I’ll be writing more about all this soon, for sure. I presented the following slides on Action Puzzle Games tonight at the MN Mobile Game Dev Group. I’m not sure the slides are really enough to convey the meaning, but most of this is really just a list of good Action Puzzle Games for iOS, and I said I’d post those, so here they are. Special thanks to Jesper Juul, from whose amazing article (“Swap Adjacent Gems to Make Sets of Three: A History of Matching Tile Games”) I stole the Family Tree of matching tile games. 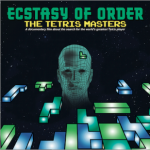 I saw the movie Ecstacy Of Order: The Tetris Masters tonight, a documentary about the first “Classic Tetris World Championship” held in (I believe) 2010. Like Word Wars (2004, about Scrabble) and King of Kong (2007 about Donkey Kong) before it, we learn something about the lives of specific characters who take part in this tournament of experts, in this case expert game players of the classic (original) version of Tetris for the Nintendo Entertainment System. Also like it’s spiritual predecessors, the documentary mostly succeeds because of the intriguing nature of those characters. I can’t really recommend this movie highly enough. It far outstripped my expectations, (which admittedly were pretty low), and actually made me want to evangelize the movie, as well as, of course, go home and play some Tetris. This led me to wonder how many documentaries there have been about Tetris already. I thought I had viewed at least two of them, but some quick googling only comes up with Tetris: From Russia With Love, which was a BBC doc from 2004. It appears you can still watch it online. I particularly liked that one of the commenters on that site called it “a Web Filter Unit test”. The idea of Tetris as a physical board game is not a new idea. (I have a small collection of them.) 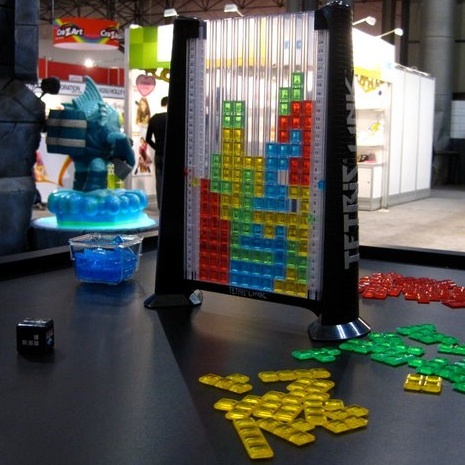 While visiting Kotaku tonight, I found an intriguing post about two new Tetris board games showcased at the Toy Fair 2011 in New York City. First I’ll mention Tetris Link, a stand-up version of Tetris for up to four players. The gameplay here is not about breaking lines. You get one color, (and presumably all the shapes), and you try and connect up your pieces while preventing your opponents from doing the same. I’m not exactly blown away by the originality here, although I suppose none of the other Tetris board games have been all that ground breaking either, but at least this could have had a hint of strategy in it, if they hadn’t introduced a die that you use to determine which piece you get to drop. 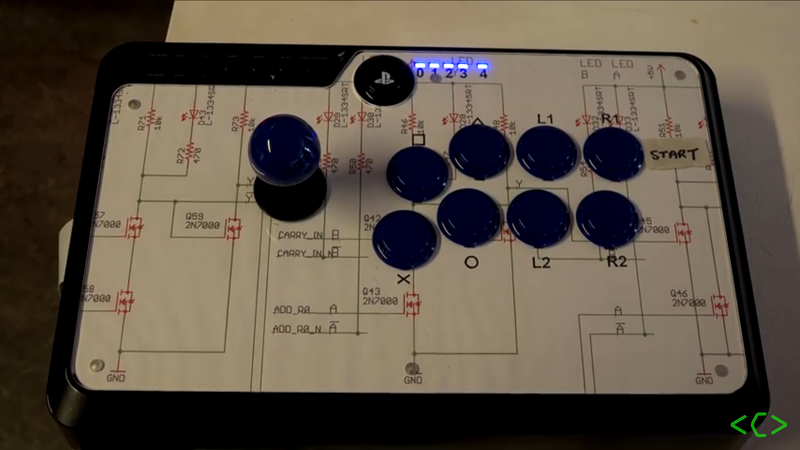 I mean, sure, I’d buy it just for the die with Tetris shapes on it, but do I want to play a game with that mechanic in it? Not really. Fortunately, I’m sure it won’t be too hard to make up some slightly more thought-provoking rules about when you get to drop what pieces. Tetris Link won’t be hitting stores until sometime later this year, and it sounds like it’ll be exclusive to B&N before it hits shelves everywhere. I don’t know if I’ll even remember to look for it at B&N, so it could be quite a while before I get this one. 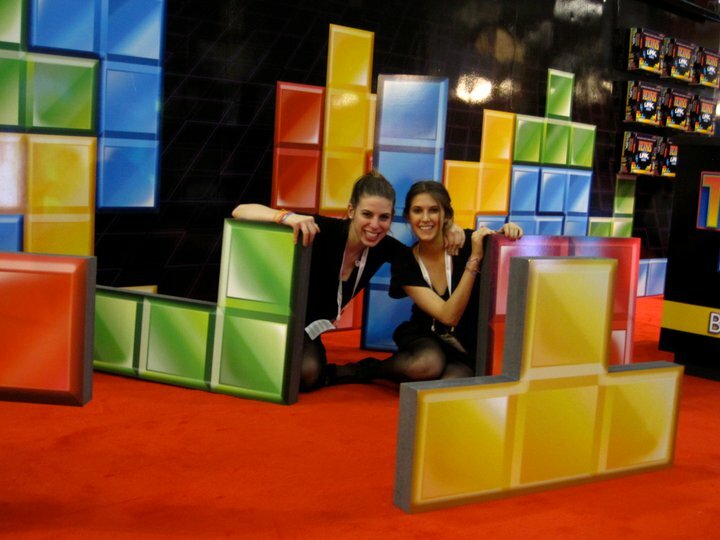 Also, I pilfered the photo above from Tetris Link’s facebook page, where it looks like they had some giant Tetris pieces to play with, as illustrated by these Tetris booth babes. (There were a lot more photos like that one on Facebook. Shameless, or fun? You decide.) You can also register to win a copy from the Facebook page (at least for the next day or two). This is the one I feel is a MUST HAVE (although, lets be honest here, I’m obviously a collector, and I’ll be getting them both). The game, which may or may not be called simply “Tetris the Card Game“, is apparently getting made by Fundex, the same folks who made five billion versions of Phase 10. Apologies for the bad video still, but I simply wasn’t able to find out much of anything about this game! I can’t wait to get my hands on a copy, and the video says they’re available now!!! Chances are that it’ll be in Target (based on the Phase 10 connection) and all over the place, but I’ll be damned if I can find it anywhere online tonight. When I get access to some actual product information, I’ll have to post it here (as well as at boardgamegeek, which is still unaware this product exists). This is appealing to me for a lot of reasons, but mainly because it looks kind of like a multiplayer puzzle mode for Tetris. I’m very, very tempted to buy some of these awesome giant Tetris wall stickers for my daughter’s bedroom. The Escapist (though not Yahtzee, unfortunately), wrote a nice long article about Tetris that I have yet to fully absorb/enjoy. Something not linked by tetris.com, a video trying to raise awareness about takedown notices being issued against videos of “fan-made tetromino games”. This makes me wonder if there are any videos floating around out there of Go Tetris. Someday I’ll finish Action Go (the mobile version of Go Tetris), and make a promo video. Someday. 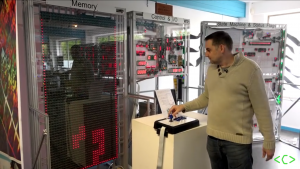 Another Kotaku video, this one of Tetris Giant, a $10,000 arcade cabinet made by Sega, with giant control sticks and a few (new to me) Tetris variants using a six-column-wide gameboard. This post is from November 2009, so I’m a bit disappointed we haven’t seen Tetris Giant released to consumers on some other platform by now. 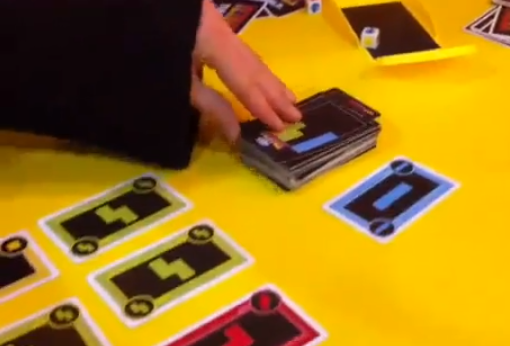 Visit the Kotaku post for videos of both of the new board/card games in action.